The PlayStation 2 video game console was released in 2000. Even though it has been technically surpassed by the PlayStation 3, the PS2 is still going strong, and even outsold the PS3 during the first several years of its release. Although it is an older console, you can use a wireless controller with the PlayStation 2. 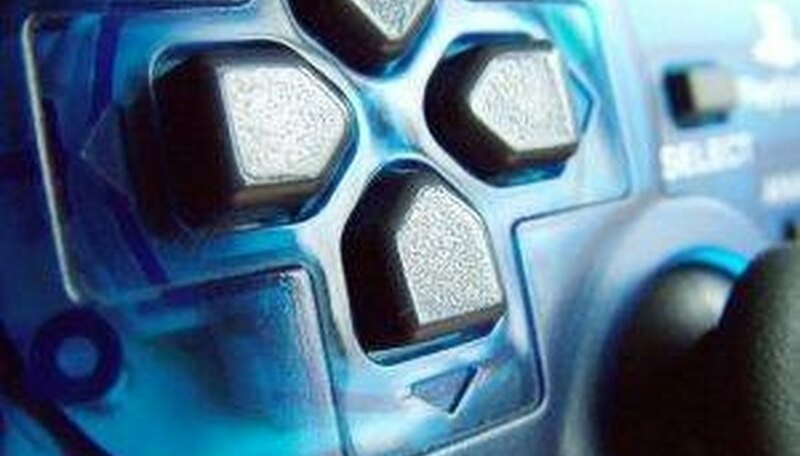 Each PS2 wireless controller, regardless of brand, will come with a rectangular-shaped receiver. Plug this receiver into the PlayStation 2's controller ports on the front of the console. If you are using a multi-tap expander, plug the receiver into the multi-tap controller ports. Certain PlayStation 2 wireless controllers can only be used with one other wireless controller, so check your owner's manual if you want to use more than two wireless controllers in a multi-tap expansion port. Once you have connected the receivers, turn on the PS2 by pressing the green power button on the top right of the console. When the console powers on, the PlayStation 2 will launch into menu mode, as it will not have detected your controller yet. You will see a prompt asking you to connect a controller. Since the PlayStation 2 did not have rechargeable controllers, you will need to use either two "AA" or four "AAA" batteries for your wireless controller. Once the batteries are inserted, locate the "On" button for your controller. This location will vary by model, but it is generally found between the dual analog sticks or between the shoulder buttons at the top of the controller. Once the controller has been powered on, the PlayStation 2 will recognize the controller and any game in the disc tray will start automatically. How Can I Tell If My PS3 Controller Is Charging?